The Cerritos College Foundation awarded $11,000 in scholarships to 13 Cerritos College students at its recent board meeting on November 17. Students Briana Johnson of Norwalk, Jacob Koeppe of Downey, and Juliana Rodriguez of Pico Rivera received the $750 Cerritos College Foster Youth Scholarship, which was established in 2014 to recognize the former foster youth students enrolled at Cerritos College. 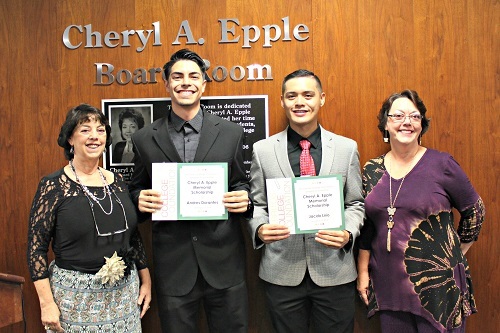 The Cheryl A. Epple Memorial Scholarship was presented to Jacob Lirio of Norwalk and Andres Dorantes of La Mirada. The scholarship was established in 2004 by Epple's family to honor her legacy of service and recognize students who are committed to giving back to their community. Epple served as a member of the Cerritos College Board of Trustees from 1993-2004. The Susan Bennion-Boyle Memorial Scholarship was presented to Lorena Alvarez of Whittier and Thuy Nguyen of Norwalk. Larry Boyle established the scholarship in 2010 in memory of his wife, Susan. The $1,000 scholarship is awarded to outstanding female re-entry students enrolled full-time who maintain a GPA higher than 3.5. 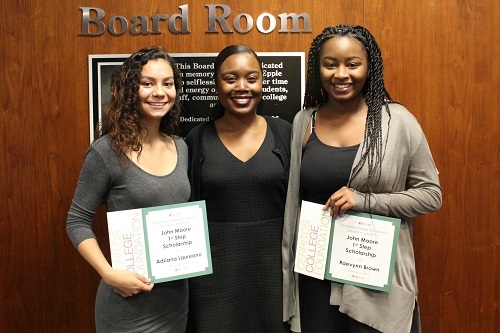 First-semester students Adriana Laureano of Downey and Raevynn Brown of Anaheim received the $500 John Moore First Step Scholarship, which was established by former member of the Cerritos College Board of Trustees John Moore. Moore grew up in South Los Angeles and never imagined that he would go to college. He was lucky enough to be the recipient of a scholarship right out of high school that gave him the boost he needed. Moore established the scholarship to give others the opportunity he received and to help first semester college students who show promise of success. Thuy Nguyen of Norwalk received the $1,000 Jean O. Michael Scholarship which was established in honor of Jean Michael, wife of retired Cerritos College President Dr. Wilford Michael. This scholarship is awarded annually to a female re-entry student majoring in business. 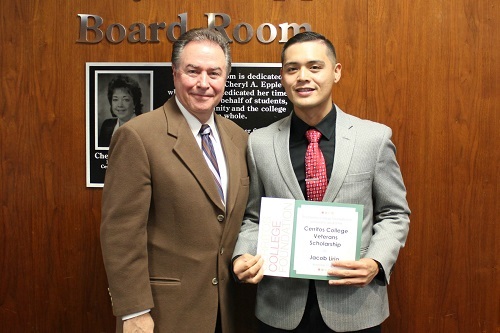 The $500 Cerritos College Veterans Scholarship was presented to economics major and U.S. Navy veteran Jacob Lirio of Norwalk. The scholarship recognizes the service of veterans of the United States Military who are returning to Cerritos College. 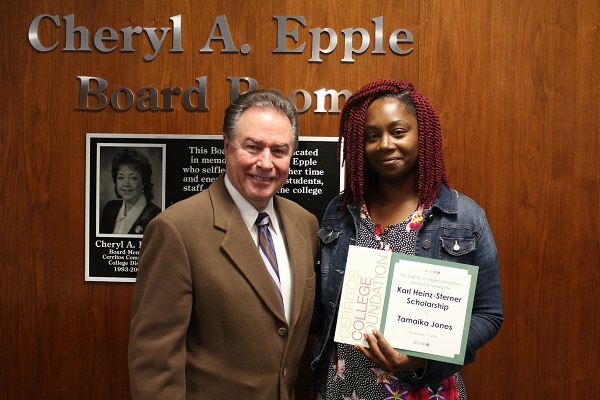 Speech language pathology major Tamaika Jones of Los Angeles received the $3,000 Karl Heinz-Sterner Memorial Scholarship, which recognizes an African-American student with a high financial need and a determination to succeed. 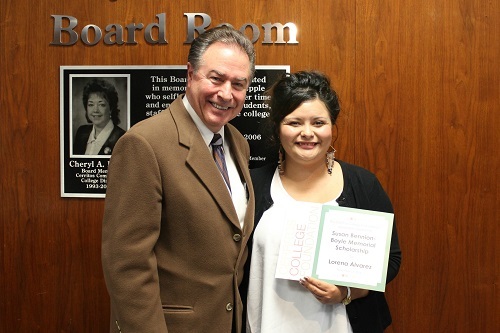 The $750 Dr. Antonio & Providence Rodriguez Memorial Scholarship was presented to Rosalia Guzman of Norwalk. 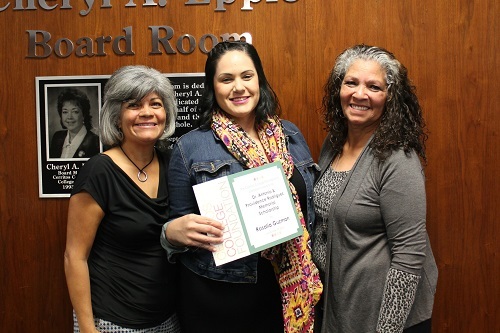 This scholarship was established in 2013 by the children of Dr. Antonio and Providence Rodriguez in memory of their father, who was a Cerritos College alumni and taught at Cerritos College for 30 years as a speech communication professor, and their mother who supported their father’s journey to become a college professor. About the Cerritos College Foundation: The Cerritos College Foundation, a non-profit organization, serves as a charitable vehicle for the community, individuals and alumni, to assist with financial support of Cerritos College. Visit the Foundation online at cerritoscf.org. About Cerritos College: Cerritos College serves as a comprehensive community college for southeastern Los Angeles County. Communities within the college’s district include Artesia, Bellflower, Cerritos, Downey, Hawaiian Gardens, La Mirada, Norwalk, and portions of Bell Gardens, Lakewood, Long Beach, Santa Fe Springs and South Gate. Cerritos College offers degrees and certificates in more than 180 areas of study in nine divisions. Annually, more than 1,200 students successfully complete their course of studies, and enrollment currently averages 23,000 students. Visit Cerritos College online at cerritos.edu.